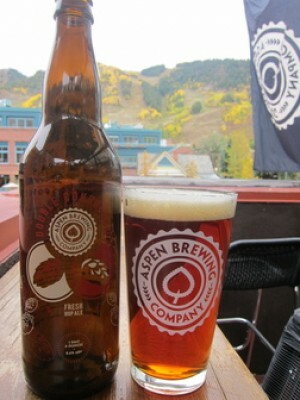 (Aspen, CO) - Aspen Brewing Company releases the fall seasonal Double Conundrum Imperial Red Ale this week in their Tap Room at 304 East Hopkins Avenue in Aspen, CO as well as in a small selection of liquor stores and restaurants in the Roaring Fork Valley. We took a local favorite, our Conundrum Red Ale, and shifted it into high gear resulting in an 8.6% ABV Imperial Red that is packed to the brim with freshly picked cascade hops from our friends at San Juan Hop Farms. A marriage of premium pale and caramel malts, a generous helping of rye, and a touch of toastly munich malt provides the backbone for a beer that lets the beautiful aroma and flavor of the fresh hop cone shine. Smell it, sip it, and most importantly say cheers to our local hop growers who make these beers possible.